The Winnipeg Jets filled their biggest need by signing arguably the best center on the free-agent market this summer. The Jets chased a playoff berth last season without a whole lot of production at center. That should change now that they've signed Olli Jokinen to a two-year deal. While the 33-year-old may not be the offensive force he was a few years ago (91 points in 2006-07), he's a huge upgrade for the Jets -- Winnipeg's top four scorers last season were wings or defensemen. Jokinen also is used to the pressure of playing in Canada, a consideration he doesn't take lightly. "Very excited about joining the Winnipeg Jets and getting a chance to play in front of the loudest fans in Canada!," he said via his Twitter account after the signing. Jokinen isn't going to make anyone forget Wayne Gretzky. But he's been remarkably durable (1,042 games and at least 76 in every season since 1998-99) and consistent (292 goals, 391 assists, seven 20-goal seasons and at least 50 points in nine straight seasons). He put up 23 goals and 61 points with the Calgary Flames in 2011-12 -- in contrast, no Jets center managed 50 points. There's no doubt he makes the Jets a better team. "When you do have the ability to upgrade in any facet of the center position, you have to take a good, long look at it," Jets general manager Kevin Cheveldayoff said after signing Jokinen. "We believe strength down the middle will give you a lot of success in the long run." At 6-foot-2, 210 pounds, Jokinen provides more muscle up the middle on a team that didn't have much size at center. "We're excited about the opportunity to bring a front-line player, a top-six player into the organization," Cheveldayoff said. "His size comes to the forefront right now; he’s difficult to handle. When he gets moving, he does move very well. He likes to shoot the puck and he’s not afraid to do that." Cheveldayoff will also look to Jokinen for leadership among the Jets' roster, as well as helping to increase production among their young forwards, including 30-goal scorer Evander Kane. Jokinen's arrival also means the Jets won't have to rush their top prospect, 2011 first-round pick Mark Scheifele. "Any time you can add a player of this stature, a player that has abilities to make plays and to score, it creates other opportunities for players like Evander," Cheveldayoff said of Jokinen. "You have to respect players like Olli when they're on the ice all the time, and I think that attention helps other players to play their game as well." Jokinen, 34 in December, is an experienced guy on a young team. 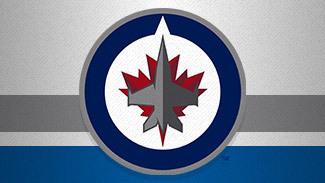 Cheveldayoff said the Jets' youth was one of the things that attracted the veteran to Winnipeg. "He's very excited about being at the forefront of a group that has young players, that has a chance to continue to grow and get better and he's really looking forward to contributing in that regard," the GM said.